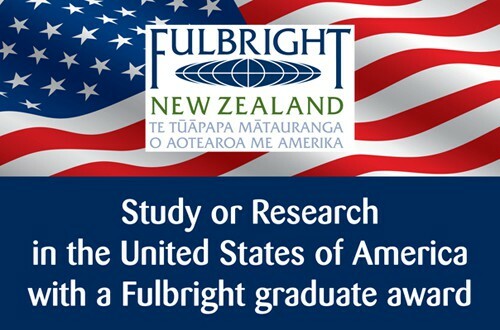 Fulbright New Zealand calls for applications to its range of exchange awards for New Zealand graduate students to study or research in the United States of America during the 2014-2015 American academic year. Fulbright graduate awards are available to students with a four-year tertiary qualification who show academic excellence, leadership potential and the ability to be cultural ambassadors for New Zealand. A Fulbright exchange provides life-changing opportunities to gain an international qualification and experience, advance your studies and career, explore America, share your culture and make friends and colleagues from around the world. Grantees can undertake study or research in any field, at the US institution of their choice. These awards are for promising New Zealand graduate students to undertake postgraduate study or research at US institutions in fields targeted to support growth and innovation in New Zealand. Approximately ten awards valued at up to US$33,000 are offered each year. This award is for a promising New Zealand graduate student to undertake postgraduate study or research at a US institution in the field of natural disaster research. One award valued at up to US$33,000 is offered each year. This award is for a promising New Zealand graduate student to undertake postgraduate study or research at a US institution in the field of indigenous development. One award valued at up to US$33,000 is offered each year. These awards are for promising New Zealand graduate students to undertake postgraduate study or research at US institutions in any field. Approximately eight awards valued at up to US$33,000 are offered each year. 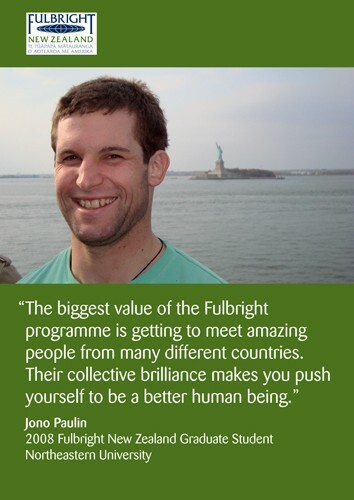 Applications for 2014 Fulbright New Zealand graduate awards close at 5pm, Thursday 1 August 2013. Please promote these opportunities amongst your colleagues and networks.